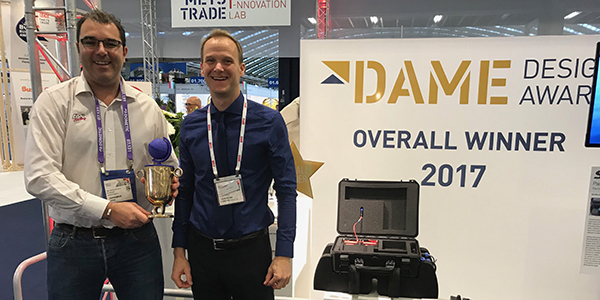 The DAME Awards winners have been announced at METS 2017 trade show with the RS Venture Connect para sailing electronics pack taking the top OVERALL title. Working in conjunction with Scanstrut and electronics expert para sailor Tom Harper, RS Sailing’s technical team have developed the equipment to provide simple installation, beautifully responsive electric ram steering via either joystick or sip/puff controls and with electronic mainsheet control a further option. The electronic control equipment allows the RS Venture Connect to be handled by sailors with virtually any disability and builds on the boat’s remarkable Plug & Play equipment functionality. 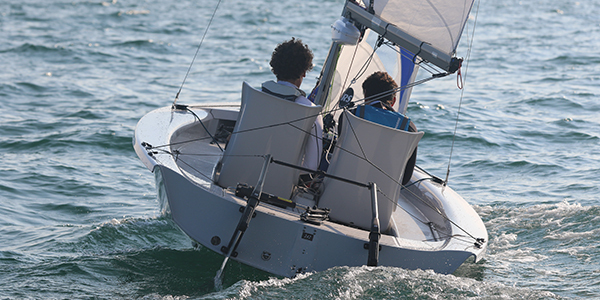 All para sailing adaptions, including twin side-by-side seats, joystick steering and control-lines console can be added or removed from the boat as required, meaning the same boat can be set up to suit everyone and used in all areas of a centre’s programme. Further details of the RS Venture Connect and RS Sailing’s international dealer network are at www.RSsailing.com. Visit www.Scanstrut.com for more information on the work they do.